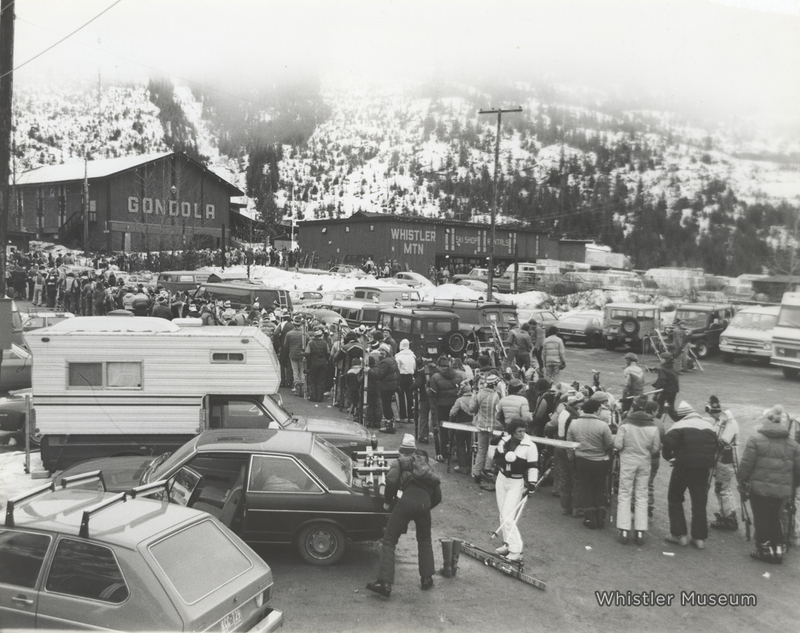 If you are interested in historical Whistler photographs for advertisements, websites, interior design, publications or personal use, we can help. As of September 2015 we have begun using the online photo-hosting service Smugmug, which will streamline our online galleries and photo orders. You can visit our profile at whistlermuseum.smugmug.com. Please be aware that it will take some time to upload our massive photo archives, so available galleries will be limited at first. 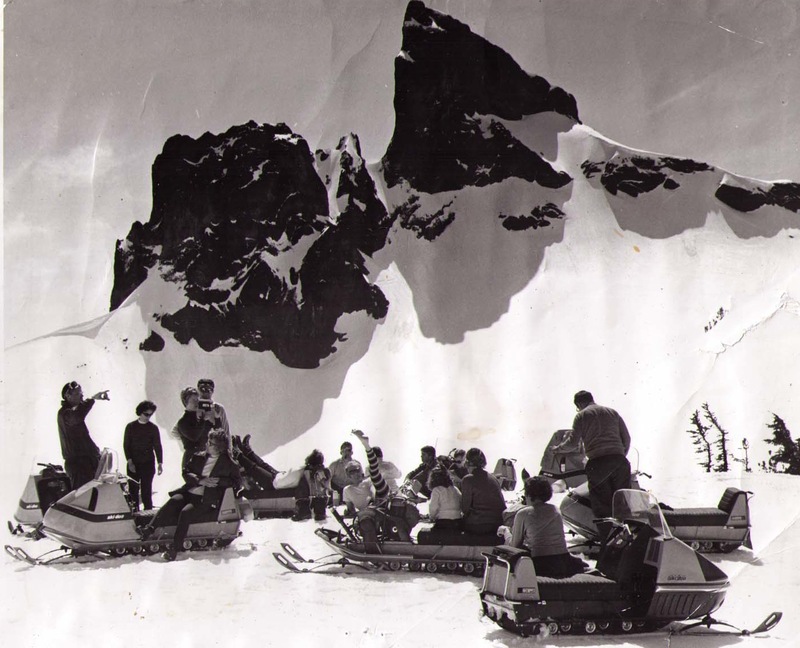 Snowmobiling Black Tusk, circa 1970s. The Museum has over 100,000 photographs of Whistler in its collection, so if you are looking for something specific we can probably find it for you! Email us at archives@whistlermuseum.com and we’ll see what we can do. Because the museum invests a lot of money into storing our photographs in proper conditions we have to charge a fee for reproductions. We have different prices for different uses so please check out our Price List. Payment can be made by cash, debit card, credit card or cheque. Ordering photos is as easy as 1, 2, 3. 1. Select your photos from the website photo gallery (prints can now be purchased directly through our SmugMug galleries), our blog, or call/email us to find something specific. 2. Download our Photo Order Form and send a SIGNED copy to the Museum. 3. Make a final payment and you may pick up or have your photos delivered. The Museum holds the copyright for many of our photographs, but for those we don’t there are legal restrictions. To learn more click Copyright Restrictions.